I love “The Cloud.” Apps like Evernote, GoogleDocs, iCloud, and Flickr are great for share and freeing up space on your hard drive through free online storage. One of my favorite cloud apps is dropbox. Dropbox is a free app and online site that lets you store pics, docs, and videos and access them from any device. In addition to accessibility and its freeness I can easily share folders and files with other dropbox users or with a link from my dropbox “public” folder. If you want to check out dropbox click this link and install the app. 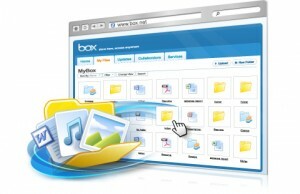 If you don’t think dropbox has enough storage space for you check out BOX.net. Right now iTunes has the BOX.net app (iPhone & iPad) for Free downloaded. You have today until December 2, 2011 to register or sign in to your account from the app to receive 50GB of lifetime storage on Box.net (usually $19.99).Check out both and see which you like more! Share in the comments some of your favorite cloud apps. Do you know how long it takes for the 50GB to take effect? Signed up earlier this morning and it’s still sitting at 5GB. I just called BOX.net and they said you need to make sure you are using their latest version in the BOX app on your iPhone or iPad and then just log in. If you are only loggin in on the net it will not work. I just logged in on my iPhone and then I loggin in to http://www.box.net/ and I see that I have 50GB…FREE!